Bhubaneswar: Odia students of the Agartala Rashtriya Sanskruta Sansthan in Tripura are in a state of fear now after they were reportedly beaten up severely by local students yesterday. Reputed Odia news channel Prameya News7 has brought this to the fore. Odia boy students are now staying in a closed room as they apprehend that they might be attacked by local students again any time. 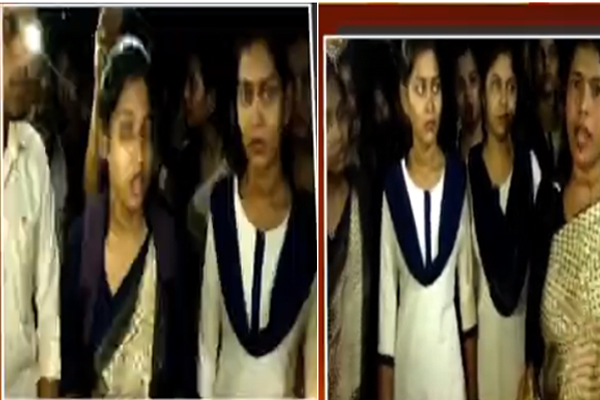 Similarly, the girl students are also in a state of fear as police have not yet reached them. Some girl students are also staying in rented rooms outside the college. Though a complaint has been lodged, the Agartala police have not yet taken any action against the accused local students. They have only visited the boys’ hostel where Odia students are residing, said Laxmidhar, a studying in the institute, over phone. The Odia students have been terrorised so much that they have now demanded that the Odisha Government take steps to rescue them and bring them back to Odisha. “We don’t want to pursue study anymore here. We want to return to Odisha safely,” said some students. A quarrel between Odia students and local students erupted after the former wanted to know the statement of the Teachers’ Day expenditure for which students had contributed Rs 50 each. The local students questioned the right of Odia students asking for the expenditure statement and attacked them.